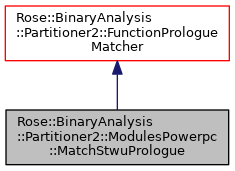 Matches a PowerPC function prolog using STWU. Definition at line 14 of file ModulesPowerpc.h. Definition at line 18 of file ModulesPowerpc.h.